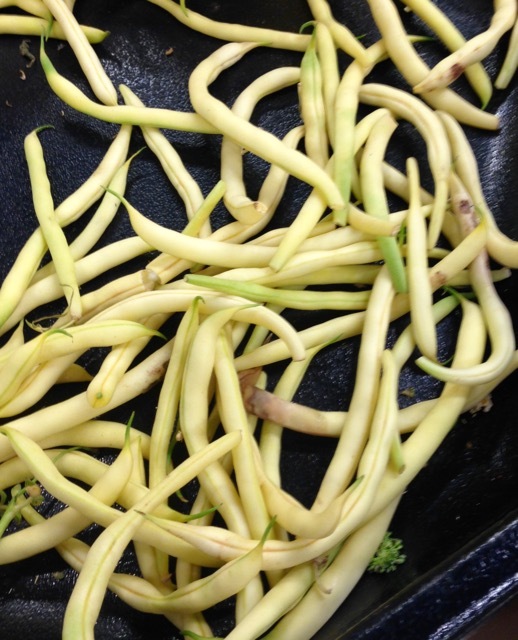 What is Yellow Wax Bean? Also called Snap Beans because their tender crisp pods snap when bent. Yellow was beans are Immature kidney bean cultivar with pods that turn creamy to bright yellow when ready for harvest. The pods can be flat, oval or rounded depending on the variety. They were originally called string beans because earlier varieties had a tough string along the seam of the pod. The current cultivars do not have a tough string so do not need stringing. The ends are snapped off before cooking. When shopping you should buy those sold in loose piles. Choose beans of similar size for uniform cooking. They should be firm and slender with a firm texture that will snap when broken. Storage: Keep beans in plastic bags in the fridge crisper. Availability: all year round with but best in summer and early fall. Posted in Beans, Ingredients, What is? Prev What is Bay Leaf? Next What is Red Potato?